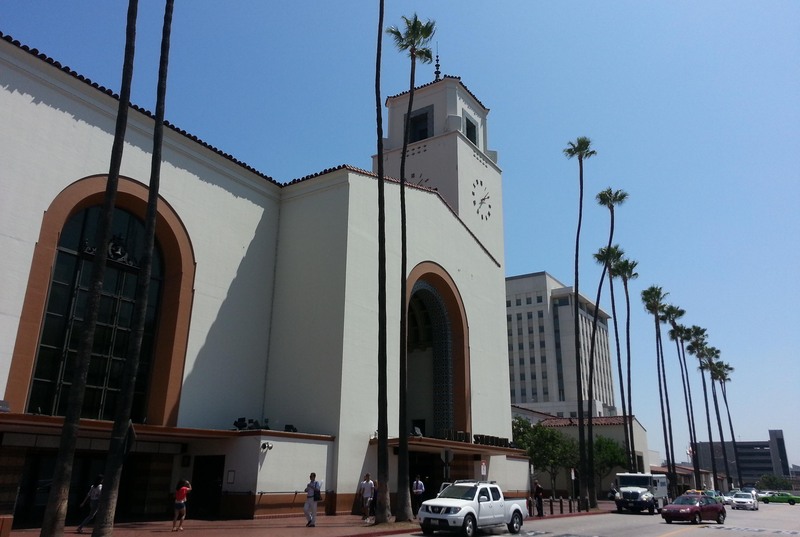 Union Station just east of the downtown Los Angeles is a beautiful historic landmark. It’s an actual train station. It also serves as a central public transportation hub, and it is the home of Traxx Restaurant. Diners can choose from three dining areas: the small, dark dining room, an outdoor garden, or the small space cordoned off from the main hall. It’s the latter that provides lots of distractions, which is important, and people-watching opportunities. The muffled sounds announcing the arrival or departure of trains is exciting. The hall has natural wood, ceramic tile, ornate light fixtures and high ceilings. Back to the distractions, they’re necessary. The menu is ambitious, but doesn’t quite live up to the expectations imposed by Traxx’s environment. In some ways the dining area feels somewhat dingy, not dirty but worn. 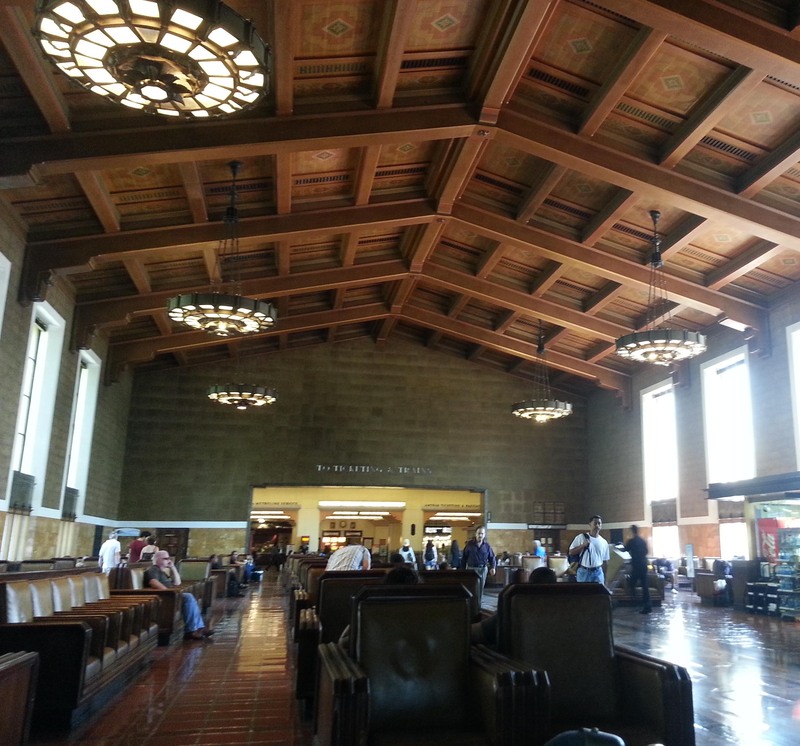 The sense of yesteryear evoked by the train station is very effective, but doesn’t work with the restaurant, at least at lunch when there’s too much light. 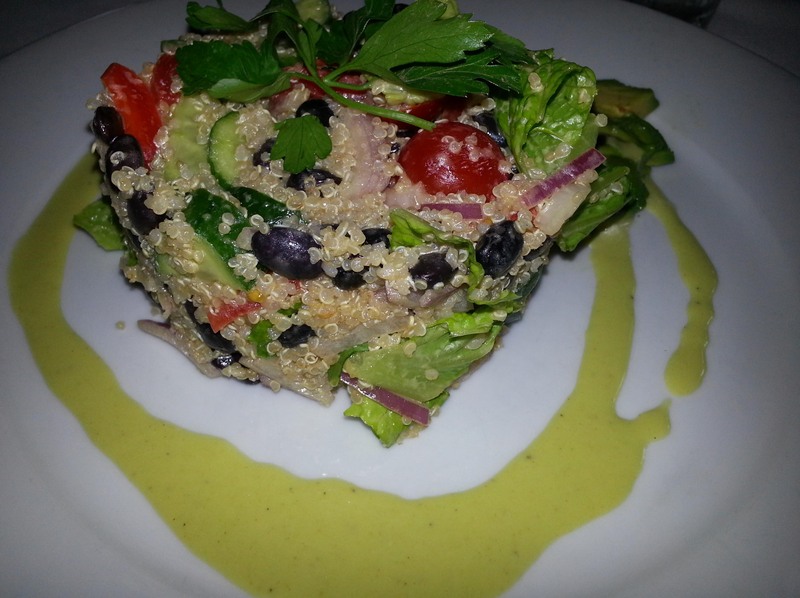 The Quinoa Salad was, nonetheless, beautifully plated. It featured cucumbers, eggplant, red onions, avocados, cherry tomatoes and lots of cilantro with an avocado vinaigrette. The onions were the bully on the plate; they overpowered everything. 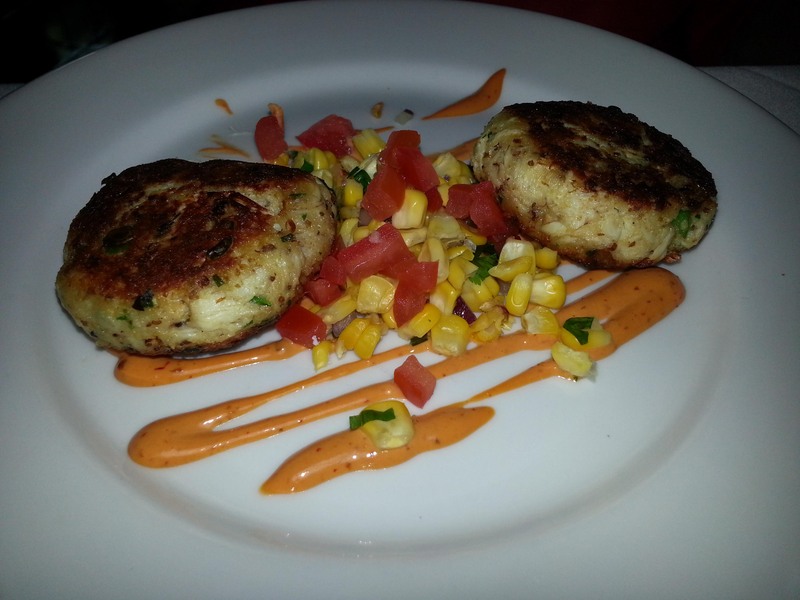 The Crabcakes were nicely cooked with a crunchy exterior and thick with crab served on a corn salsa with red pepper remoulade. Even though I wasn’t traveling by train, I was more than ready to leave the station after discovering a long dark hair beneath the caramelized sugar layer of my crème brulee. A beautiful space with beautiful food, who could ask for more?